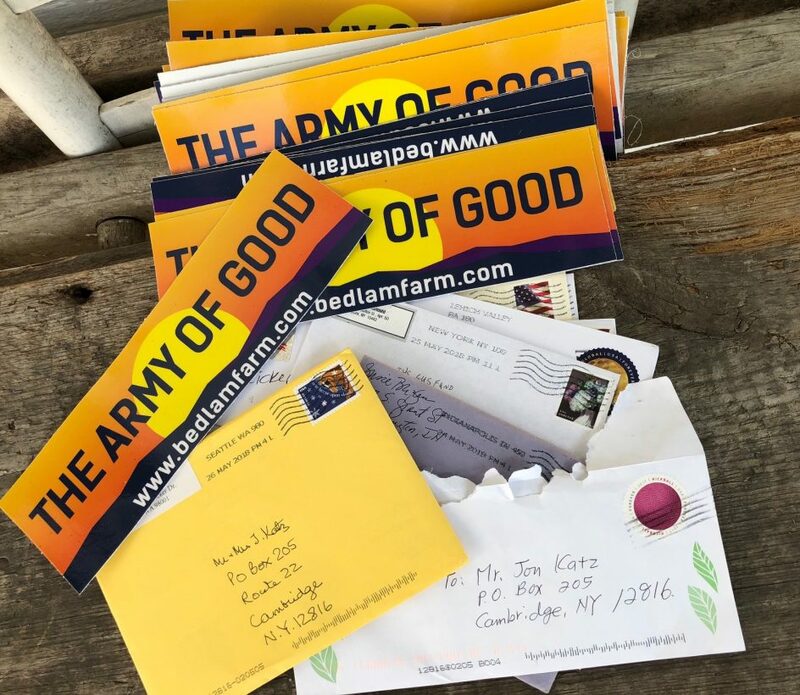 We call ourselves the Army Of Good, we are a group of people living all over the country who wish to do good rather than argue about what good is. This work is not about politics, it’s about our hearts and souls. At the Mansion Medicaid Assisted Care Facility, we help fill the holes in people’s lives – underwear, socks, shoes, jackets, books. We sponsor boat rides and outings for those in elderly care. We support a number of important causes – refugees and immigrant, the residents of the Mansion and other assisted care facilities, and local community endeavors from community cafes to community radio. We’ve even saved a farmer who was unjustly accused of animal cruelty and who was nearly overwhelmed with legal fees. We have sent a gifted refugee child to private school, helped a health care aide get out of her tent and into a trailer, and supported refugees and immigrants in their daily lives. We commit small acts of great kindness. All of the money goes into special audited accounts, and all contributions are documented with photographs or text. I greatly appreciate your support. Your donations are welcome in any amount, large and small. There are two ways to support the Army of Good. One is via PayPal, jon@bedlamfarm.com. The other is to send check or money or orders to Jon Katz, P.O. Box 205, Cambridge, N.Y., 12816.